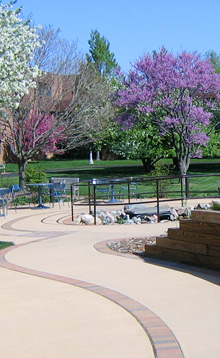 Clark-Lindsey Retirement Village is nonprofit continuing-care retirement community situated on 28 acres near the University of Illinois’ Urbana-Champaign campus. 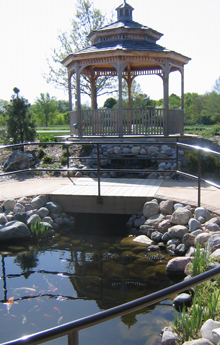 In 2009, it collaborated with the university and the Retirement Research Foundation to create a first-of-its-kind “New AGE” garden. The University of Illinois kinesiology and horticulture departments initiated the project with their selection of Clark-Lindsey as the pilot site. Learn more about Clark-Lindsey Retirement Village.